feedback, and approval process for content in one place. 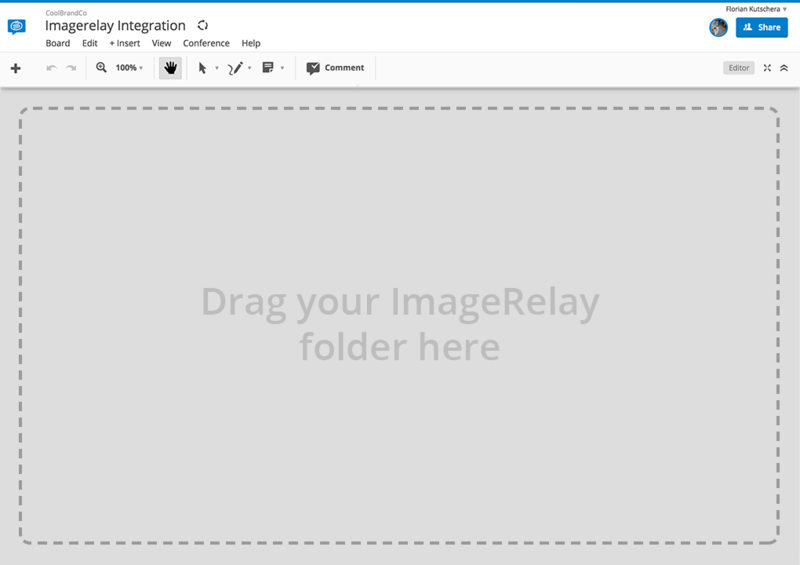 Create a share link for your ImageRelay folder and drag it into a board. It’s that easy! All relevant files are automatically imported into Conceptboard. Intuitive markup and commenting tools means clients, stakeholders, or team members can review, comment, proof, and approve assets faster. Each user gets their own pointer so everyone sees exactly what is being discussed. 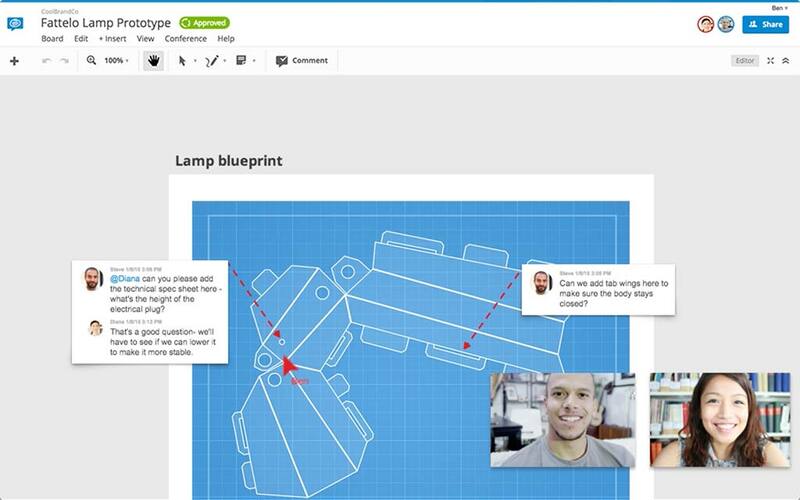 HD video conferences, moderator mode, and chat let you discuss and present in real time.